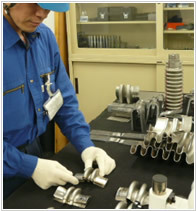 Business Overview -Service- | NEURON JAPAN Co., LTD.
engineering such as design, analysis, inspection, and measurement is indispensable. – What materials are pre-existing pipelines made from? – How much has the current thickness been worn or deteriorated? 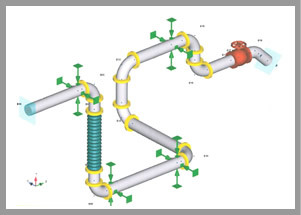 – Are there any abnormalities in pipe temperature, or the amount of vibration or displacement? 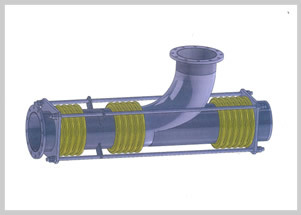 – What is the pipe device’s residual fatigue life? 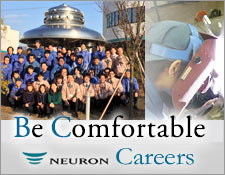 At Neuron Japan, we visit each plant site and carry out situation assessment and diagnosis of plants using the most cutting-edge portable inspection and measurement devices. We also undertake testing for the residual life of existing expansion joints couplings. The metallic ferrite *1even in Stainless Steel induces and promotes corrosion. Ferrite scopes are able to non-destructively measure the amount of delta ferrite in the welding used in oil pipelines and pressure vessels etc., as well as in steel cladding. 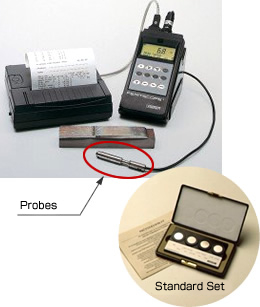 A revolutionary tester which operates on a principle (*1 EQUO principle) which is completely different from past penetrometers. 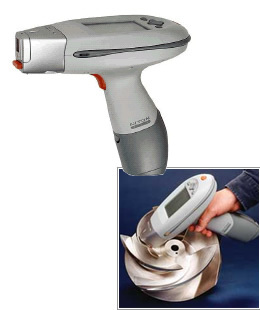 It is a consistently important inspection device in the metalworking industry, and is able to non-destructively measure a wide range of products, including non-metallic soft materials. 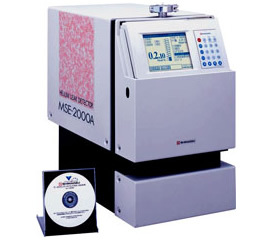 A device which uses the principle of fluorescent X-ray spectroscopy (energy dispersal type) to detect the existence/content of specified elements in targeted metallic materials. Unlike typical fluorescent X-ray spectroscopy devices, there is no concept of a sample chamber, allowing the device to be transported in order to take measurements. Can be used in recycling sample division/screening, and product intake testing/finished goods inspection/shipping inspection. The Helium Leak Detector is a fully-automatic portable model which delivers high sensitivity/low background, and which comes equipped with a molecular drag pump with a high compression ratio, and a high-performance analysis tube. In leak testing, this method is able to detect the finest leaks. In helium leak testing, it is able to detect even extremely fine leaks of (5 X 10 – 13Pa/m3/s), so small that at a rate of 1Pb, 1cm3 of air would take approximately 6,000 years to fully leak. 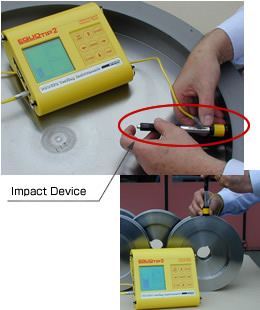 In leak testing, this method is able to detect the finest leaks.